Door 24 is a wonderful free iPad app for working on basic Math skills. 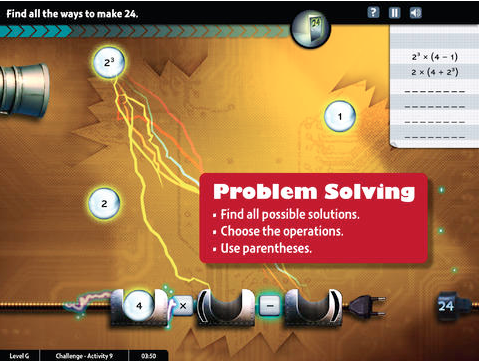 This educational game has students trying to solve different equations to help repair a robot's circuits and solve the mystery behind Door 24. Door 24 is aligned to Common Core standards, designed for grade 4-8th, and has over 6 different levels that focus on different computational fluency. Best of all is a Math review screen that helps students w/ problems they are struggling on. *Door 24 is an advertiser of Technology Tidbits.